Carole Railton, author of A Useful Guide to Personal Branding started her life in the UK and has travelled extensively, whilst also working and studying in Africa. Working for Datapoint, IBM & Xerox, where she was area manager for the Middle East & North Africa Sales, Carole broke new ground for women in business. Now she works with clients in the fast lane or heading that way, raising their awareness. Constantly evolving with the times and technology Carole has worked as a General Manager of a .com company, given talks in UK, France, Jamaica, Germany & Hong Kong on subjects close to her heart. She has a list of worldwide clients as well as individuals wanting to improve their life awareness and brand. 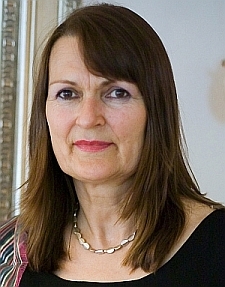 Her qualifications are many: NLP Master Practitioner, Business Coach, TA trainer and Homeopath and breathing instructor. She combines these skills with her business experience to bring results for all through training, coaching and public speaking. She has also authored The Future of Body Language, contributed to personalgrowth.com, and is a Fellow of the Royal Society of Arts. Carole is the founder of Life After Branding which specialises in behavioural change in individuals for commercial results. Clients of Life After Branding have included Shell UK, Konica Europe and Travis Perkins. When not writing or with clients Carole spends her time campaigning for more female presentation in parliament, travelling, interior design, and learning acting skills.